The Quran is core to Islam. Believing in it is a requirement. One who does not believe in the Quran, in its entirety, cannot claim to be a Muslim. Islam has two primary sources, the Quran, and the authentic Traditions of Prophet Muhammad, that explain and sometimes expand on that of the Quran. The Quran was delivered to Prophet Muhammad by the Angel Gabriel and revealed in stages over a period of 23 years. Prophet Muhammad was commanded by God to convey the Quran to all of humankind and the responsibility weighed heavily upon him. Even in his farewell address he called on the people present to bear witness that he had delivered the message. The Quran explains the concept of God, it explains in detail what is permissible and what is forbidden, it explains the basics of good manners and morals, and gives rulings about worship. It tells stories about the Prophets and our righteous predecessors, and describes Paradise and Hell. The Quran was revealed for all of humankind. The book in which the Quran (the words of God) are contained in is called a mushaf . 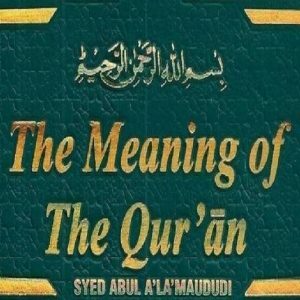 The Quran is considered so unique in content and style that it cannot be translated; therefore, any translation is considered an interpretation of the meanings of the Quran. When God sent Prophets to the various nations He often allowed them to perform miracles that were relevant to their particular time and place. In the time of Moses magic and sorcery were prevalent therefore Moses’ miracles appealed to the people he was sent to guide. In the time of Muhammad, the Arabs, although predominantly illiterate, were masters of the spoken word. Their poetry and prose were considered outstanding and a model of literary excellence. When Prophet Muhammad recited the Quran – the words of God – the Arabs were moved tremendously by its sublime tone and extraordinary beauty. The Quran was Prophet Muhammad’s miracle from God. 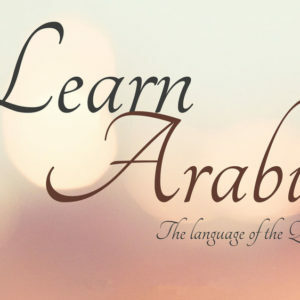 Muhammad was unable to read or write therefore the Arabs knew that he was unlikely to have produced such eloquent words, but even so some refused to believe that the Quran was the word of God. God therefore challenged them, in the Quran, to produce a rival text. Of course they were unable to do so. In contrast to those who questioned the origin of the Quran, many Arabs converted to Islam after hearing the recitation. They knew immediately that such sublime beauty could originate only from God. Even today it is possible to see Muslims moved to tears while listening to or reciting the Quran. In fact some people, unable to understand even one word of the Arabic language are moved by the intrinsic beauty of the Quran. 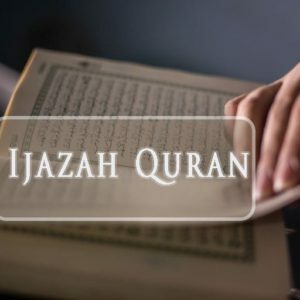 After establishing that Quran is the word of God and that it is a recitation, it is also important to understand that Quran has remained unchanged for more than 1400 years. Today when a Muslim in Egypt holds his mushaf in his hands and begins to recite you can be sure that in far away Fiji another Muslim is looking at and reciting the exact same words. There are no differences. The child in France holding his first mushaf is tentatively reciting the same words that flowed from the lips of Prophet Muhammad. God assures us in Quran that He will surely protect His words. He says, “Verily, it is We Who have sent down the Quran and surely, We will guard it (from corruption).” (Quran 15:9) This means that God will guard against anything false being added or any part of it being taken away. It is protected from tampering and if anyone attempts to distort the meanings of Quran, God will guide someone to expose the deception. 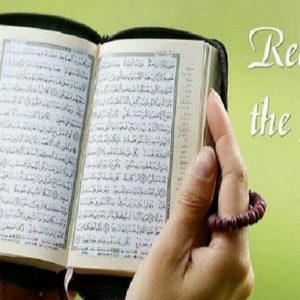 Muslims believe that the previous revelations from God, including the Torah and the Gospels of Jesus were either lost in antiquity, or changed and distorted, so it is a source of comfort to them knowing that God’s words – the Quran – are now well guarded. God sent down the Quran, from above the heavens, to the Angel Gabriel in the glorious month of Ramadan.